Interested in solar energy? The sun being the primary source of energy and life on earth, who wouldn't be interested, right? I'm excited about this article because this is probably the longest I've written. I got carried away and got all the interesting information about the solar energy and put everything in this article, all for you to take! Clean energy rides on the back of solar power. You wouldn't believe the tech that runs solely on solar power-boats, buses, bicycles and roadside trash compactors, for a start. Solar power is quickly expanding into every industry, inspiring entire cities and reforming ancient traditions to bring forth a cleaner earth. The history of solar energy is a short, and extensive one. Since the 1950s in America, we've used the first application of capturing, harnessing and using solar energy. It began far before that, however, back in 1839, and was retouched on again by Nikola Tesla in the 20th century. To cover all of this cohesively, we're going to start back where it began. Back in 1839, Alexandre Edmond Becquerel discovered what he called the photovoltaic effect. Alexandre was a French physicist, particularly known for these studies-the solar spectrum. While his best-known studies revolve around the discovery of solar energy, Alexandre also conducted studies into magnetism, electricity, and optics. Many consider him to be the father of solar energy, while others contest that Nikola Tesla's innovations far surpassed that of Alexandre. We'll get more into that later. He discovered that the photovoltaic effect is a process in which two dissimilar materials in close proximity to one another produce electrical voltage. This occurs when the materials in question are struck by the radiant energy or light. Electrons in the light are not free to move once trapped, essentially rendering them completely frozen. Within the silicon, they can be allowed to move freely, yet still within their confines. Free electrons pass between dissimilar materials or crystals. This gives them a positive charge on one side, and a negative on the adjacent. It's just like a battery; positives and negatives. So long as light still flows freely into this crystal, a current can be maintained and harnessed for later use. Alexandre broke the ground, paving the way for many other scientists over the course of recent history to act upon and enlighten the photovoltaic effect. Development, nearly one hundred years later, led to the creation of a photoelectric cell, which we now use to capture light and harness its energy. Scientists first had to look at converting this concept of solar energy into chemical energy before any progress was made. Upwards until 1897, many took a shot at alchemizing the ideas of Alexandre into an effective application of solar energy in modern day use, few with substantial improvements over his original discovery. In the year 1905, Nikola Tesla was one of the biggest names in renewable energy. Rather, in the theory of renewable and alternative energy. He had said at the time that that fossil fuels, being coal and oil, were not sustainable resources. One name we all universally know-Albert Einstein-tinkered with the photon theory of light in 1905. His belief was that light can liberate electrons on a metallic surface. In this theory, Einstein blatantly went against the orthodox nature of over one century of physics, so definitive on his findings that tradition couldn't stop him. If he hadn't done that, perhaps we wouldn't be where we are as a society today. In 1918, Jan Czochralski, a scientist from Poland discovered a way to grow singular crystal silicon. It would later be used as the founding principle on collecting solar energy. Now you know the humble beginning of solar power and the genius minds behind its conception. Let's take a look at what's being done with solar power today, happening right now while you read this. With Google's Project Sunroof, you can take a look at your neighbors' homes to see if they've installed solar panels, all from a birds-eye view. This practicality is used as a tool to measure the number of Americans utilizing solar energy today, consistently adding a progressive incline of new solar energy customers. When a one-time installation and zero maintenance program presents itself, it's hard to pass up. The initial cost of installing vast amounts of solar panels across your home or property is definitely startling. Thanks to innovations, they're becoming inexpensive, increasingly durable, and all at higher efficiencies of capture. Sounds dangerous, but in reality, it simply replaces the need for a standard trash barrel. The application here is that when the trash compactor reaches a certain capacity, the machine does exactly what it says-compacts the trash. This saves energy in many ways; for one, there are no negative qualities to using solar power for anything, so that implementation of electrifying essential trash barrels doesn't increase any type of waste. Second, with compacted trash, routes for city garbage trucks require less frequent visits to said compactors. They would be emptying overflowing barrels two to three times a week, spilling all that exhaust into air and aiding in pollution. While technology hasn't caught up with the garbage truck as of yet, lowering the need for them to visit these compacts reduces their truck emissions, aiding in the prevention of pollution. It's the little things that nobody thinks about. Traffic lights are something that run twenty-four hours a day, seven days a week, all year round. It makes absolute sense to integrate solar panels into such a costly bit of tech. When you consider the amount of traffic lights on the planet, it's a dizzying number. JSF Technologies put out an answer to this energy-sucking riddle. Between pedestrian crosswalks, stop lights and flashing lights, they've taken over a niche market of solar energy that, truth be told, we would never have thought was a market. Their innovation saves an intense amount of electricity on an hourly basis. The capabilities of solar power don't stop at providing a small amount of voltage to a random assortment of devices. These solar powered furnaces can heat up to a concentrated 6,630 degrees Fahrenheit, a heat used to melt steel, generate massive amounts of electricity, create nanomaterials, and even produce hydrogen fuel. The very thought that these could be achieved without the use of high-intensity fuel being burned is astounding. If you really sit back and think about the power that we can truly harness and concentrate, it's absolutely amazing. Applications for this solar tech could potentially revolutionize entire industries. If combined with other means of alternative energy gathering, industrial factories could eliminate emissions entirely, canceling out one of the largest sources of pollution facing America today. It's not just science fiction anymore. An impressive boat by the name of PlanetSolar was the first ever boat to circumnavigate the globe with nothing more than 100% solar power to drive them home. The name of this beast literally translates to â€œpower of the sunâ€ which is, at the very least, quite a fitting title. After traveling a whopping 5,500 square miles with nothing more than solar energy stored in lithium-ion battery banks, it's an entirely new method of exploration made possible by solar energy. This team of Geneva-based researchers in the fields of biology and climatology drove the PlanetSolar from Miami to Norway. The engineering behind this boat was truly something well thought out and thoroughly planned. The angle of the rear flap uses hydraulics to tilt the panels, allowing for optimal solar energy capture. This was all done at sea to maximize their output during every available hour of the day. 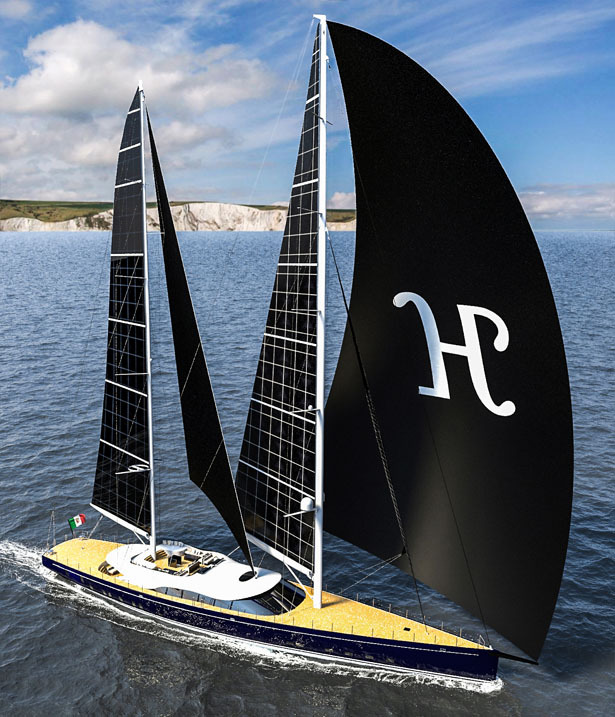 While these aren't necessarily traditional boat sails, they give the boat its â€œwindâ€ and set it right on course. These are just a small roster of the many devices that can be run solely off of solar energy. The amount of MW saved per year just on this tech alone is invaluable, and just another way that solar energy is overtaking absolutely every corner of the technological market. In today's world, the need for alternative energy is unprecedented. We're going to describe just what makes solar power so special, and why it's quickly enveloping the world. Regardless of your beliefs or stances on climate change, there is a need for solar energy across the globe. Emissions are harmful to more than just the planet; 200,000 people in America alone die every single year from the increasing levels of combustion. Solar energy isn't just an option; it needs to be an absolute. Absolutely zero negative effects come from harnessing solar energy. You can call them conspiracy theorists or doomsday preppers, but everyone in this life has something valuable to contribute to the common knowledge of society. For years, Homeland Security has been expecting the next large-scale terrorist attack to unfold on America in the form of assaulting the power grid. No power equals no defenses, and the enemy knows it. While none have been reported or successful, it's a terrifying thought. Through solar energy, not only can individual structures, but the power grids and information networks of those individual structures can become self-sustaining. With companies like Energy Star attempting to lower the amount of electricity used to power different devices every day, combined with other sustainable forms of energy such as hydroelectric turbines and wind turbines, the threat of an attack on our national power grid loses credibility. In the United States, the government has a plethora of incentive programs that aim to create more solar power per capita, by offering incentives and grants. Not only do you receive tax income credits, but can actually pay homeowners to allow solar panels to be installed on their properties, primarily on their rooftops. The Green Retrofit Grant from the HUD's Office of Affordable Housing Preservation will actually pay homeowners to install and maintain solar energy systems, as well as other alternative energy solutions. Any grant funds you receive from the Retrofit program have a two-year shelf life, so to speak. Let's not forget the Residential Renewable Energy Credit. This credit expires in December of 2021, with the expectation by this point, most of the continental United States will be using solar energy, thereby no longer gifting a tax credit for expected systems. No matter what technology you can think of, everything started out with a prototype. 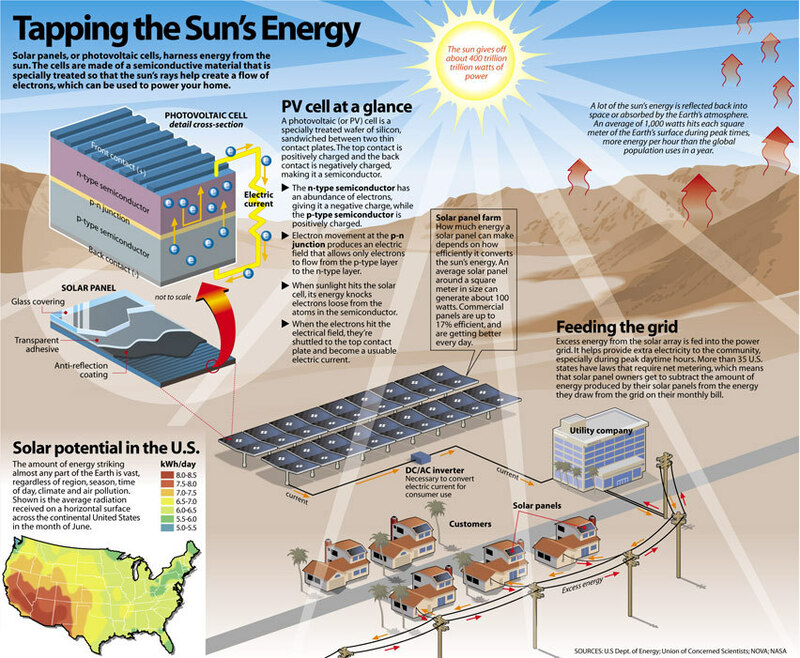 Solar energy today still needs a lot of work to become the only energy choice of the future. Here's what's being done to make that happen. The cost of installing full solar panel systems is decreasing every single day. After enough time has passed with solar panels consistently providing a steady stream of electrical energy to residences, installation of these systems will be more cost-efficient to purchase and maintain, making solar energy the most cost-effective, environmentally-friendly energy source on the planet. At the height of its game, solar energy will replace all non-organic forms of energy production. Wind, water and solar are the future of one-hundred percent of all energy used by the human race. It's just going to be a journey getting to such a point. Your windows could become electricity generators in a short amount of time. Through the innovation of NEXT Energy Technologies, a scalable solar window coating is now in effect to produce clean energy from the commercial-grade glass. The coating lasts for thirty years before wearing down to the point of inability, turning skyscrapers into essential turrets of solar energy capture. 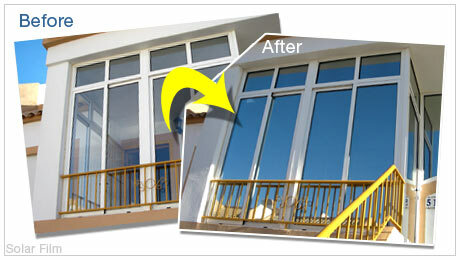 The coating is completely transparent, printed onto the windows upon manufacturing. Not only is it inexpensive to create, but it uses 100% photovoltaic organic compounds. In a world where everything is marketed to us, these coated windows are not only aesthetically pleasing, but energy efficient and cost efficient. They can even be provided in a multitude of light transmission options, changing their colors. This is truly one of those things you hear in a science fiction movie, something completely innovative without being brash on pollution. It's quite possible the first line of solar energy's next biggest product. From the development of solar energy throughout history, the very first attempt at harnessing it came with an unappealing 1% light capture rating. It was scrapped due to the impracticalities. Currently, solar panels only capture 20% of available light. It's still a massive leap from where we once were, allowing us to supplement our home with solar energy to a substantial point. Some even live solely from solar power, but the next big thing is here. An engineer at the University of Missouri has found the next holy grail of solar capture. A flexible light shield with the ability to capture up to 95% of electromagnetic energy given from sunlight. His claims state that the traditional method of solar energy capture, being photovoltaics, are inefficient with the technology and information that we now possess. They simply don't do a proper job at capturing what's coming from the sun. This flexible sheet consists of a network of antenna, each captures the heat from industrial processes and successfully converts it to usable, sustainable electrical energy. Garrett Moddel, an electrical engineering professor at the University of Colorado, now working with Pinhero and his team, have developed a way to collect electricity from collected sunlight and heat. This process uses electrical circuitry at super-fast speeds. The plan, coming from Pinheiro, is to mass-produce inexpensive versions of this product to bring forth the next day and age of solar energy. Just when we thought it couldn't get any more incredible. We're talking about the future, here. With this new product, Silver-on-Aluminum Paste, a science startup by the name of PLANT PV has given us another phenomenal means of capturing solar energy for electrical usage. Their claim to fame: increased power output from solar cells, which would increase overall effectivity at no additional cost to the manufacturers. If you look at the way we extract solar energy, it comes down to silicon solar cells, woven in very specific ways. PLANT PV is changing that. Their big game changer is to use this Silver-on-Aluminum Paste and print it onto dried aluminum film. Through their processes, they plan to add 500-MWs to the overall production forecast of 85-GWs, globally. When you combine these two amazing pieces of technology into one, the desired effects can only be extraordinary. When you run into the issue of these two sources of alternative energy, you come up with a couple of thoughts. Wind turbines can't operate without wind; solar panels can't operate without direct sunlight. When you combine these two together, their strengths shine brighter than their weaknesses. These work by, very basically, attaching solar panels to the front of wind turbine blades. The result is an eternally (hopefully) moving wind turbine, generating better-predicted power outputs. During daylight hours, the panels absorb solar power, just as any panels do, and use that power to keep the wind turbine moving during days with little to no wind. The momentum of the turbines continues to generate electricity. A win-win on the weaknesses of both power types. Solar powered, not just farms for capturing solar energy. In Japan, farmers are generating solar electricity while continuously growing crops, all in the same space. PV systems have popped up after approval by the MAFF, sticking out of farmland all across Japan. This coexistence of cropland and solar energy farming was previously banned; progress is always afoot. This concept is known as Solar Sharing. What these farms do is absorb the residual amount of solar energy that these crops don't need to properly carry out photosynthesis, curing the issue previously where it was suspected that plant life would suffer and wither under the presence of solar panels. By understanding that more and more sun doesn't necessarily help plants-they just take what they need-Akira Nagashima, a retired agricultural machinery engineer who later went on to study biology, was able to come up with the idea to combine PV systems and farming, bringing forth more than just fruitful crops, but a cleaner energy system for the already efficient Japan. The structures designed and created by Akira have pipes and rows upon rows of PV panels, which are designed accordingly to allow proper photosynthesis for the plant life just below. The point of Solar Sharing is a harmonious existence between farmers and solar power extractors. The entire reason behind this project is to increase productivity and solar energy output and prevent farmers from completely converting to solar farms instead of actual crops. Akira has more than enough knowledge in his arsenal to maintain the balance between these two without ever damaging the ability of farmland production. With so many different applications for solar energy, it can make your head spin. We're going to explain where solar energy could be going next, and what it entails. We're seeing some phenomenal applications here. With the production of solar windmills, solar windows and more, we can see the possibilities being stretched far wider than we as a society could even currently imagine. As an entirely new sector of energy has opened widely, expanding our minds and future, we can foresee certain technological advancements. Inspired by the work of Nikola Tesla, Albert Einstein, and countless other scientists throughout the stretch of solar powered history, these technological advancements are changing the world in its entirety. When you think of sustainable energy, you never think of the world's outlook moving backward. These scientists, inventors, and innovators are ensuring that solar power moves forward with new and positive advancements that are certain to get any solar power enthusiast leaning on the edge of their seat in excitement. Back in the days of Nikola Tesla, as we touched on at the beginning of this article, he began a monumental creation for the time period in New York. He called it the Wardenclyffe Tower, and built it with the sole purpose of implementing his ideas to provide wireless energy transmission. While at the time this mad genius had his own thoughts going on, nobody thought this could be anything more than a fantasy. Over one-hundred years later, scientists are trying to reconstruct the Wardenclyffe Tower with Tesla's principles in mind. A pair of brothers on IndieGogo are raising the funds to build a new application of Tesla's Wardenclyffe Tower. While Tesla's go at it never became even minorly operational, the principles are still there to turn this into a fantastic and revolutionary way to generate Tesla's original idea of free energy. While none of us could foster the thought of not paying a utility bill on our electricity, partially because it sounds like a fantasy, we can at least think of the application to use a new Wardenclyffe model to transmit energy seamlessly through the air for other purposes. Many have proposed the idea of tower-based trinity engines. A trinity engine is the application of solar, wind and hydroelectric energy capture all in the same device. This principle comes with the idea that floating island can be manufactured for use in the center of the ocean, of ponds, small lakes, and other bodies of water. A trinity engine consists of a below water lever hydroelectric turbine collecting energy from the light currents (depending on the body of water) up to those of regular ocean currents, and transferring this energy to a power bank located in the center of the next component-the wind turbine tower. Essentially a floating windmill, this would host a vast number of interchangeable, rechargeable power banks, all held within the easily accessible chassis. While the wind turbine tower gathers energy from the winds on the ocean, or other body of water, it would be outfitted with the blades as well as the top of the tower chassis with solar panels. All three of these means would convert to usable electrical energy within said power banks, retrieved at the will of the agency under control of said towers. They would sail out to the trinity engines, replacing the full power banks with empty ones. The whole thing would run on a satellite connection to maintain proper readings of the energy levels, giving notice to when these power banks should be switched out for scheduling and maximum efficiency. Urban development projects are aiming to reduce-nay, eliminate pollution, and here's how they're doing it. Civil engineering has come a long way, just in recent years alone. With enormous leaps and bounds in clean energy technologies, it makes for more intricate planning and development. A smart city is essentially fully equipped to handle clean, sustainable living through every recyclable method you could possibly imagine. While we're not here to talk about how bus routes would be discussed or how you'd get Wi-Fi jus about anywhere you walked, we will tell you exactly how solar energy plays the biggest role in keeping a smart city clean. In most urban areas, wind isn't in high supply, and they're rarely built on the height of a waterfall. Hydroelectric means of harnessing electricity and kinetic energy are out of the picture, as are wind turbines. Together, depending on the geographical location, these two methods can assist the production of clean, sustainable energy for these smart cities, but what it really comes down to is solar power. Economically, solar panels take up the smallest amount of space while producing the least likely chance of an incident. Should a hydroelectric turbine malfunction of a wind turbine fall, it could produce a much more volatile outcome. When a solar panel malfunctions, it puts zero citizens at risk for potential harm. It just simply stops working. When placed in strategic locations, solar energy panels have the potential to capture energy and harness it in just about every type of weather, while the levels of captured electrical energy would diminish, production would need a complete overcast or inbound storm to drop down to microscopic levels. Through smart cities, other method of solar power will be integrated for maximum efficiency and stored power. Have you ever passed by a city bus, only to capture a big mouthful of exhaust from the tailpipe? 100% electric-powered city buses are not only in the works, but actually run currently in Uganda. We can use their application as a prediction of what to expect when these smart cities become fully operational. These buses are built for fast-charging using nothing other than the sun's rays. Kiira Motors in Uganda launched the first solar-powered bus in February of 2016, utilizing, as the CEO of Kiira Motors stated, their location on the equator. It produces a non-stop supply of sunlight, allowing for the most optimal place on the planet to consistently run solar powered busses. The sheer power of this battery-which one takes a single hour to charge-would have you thinking that this bus must be the size of a smart car. In fact, the first ever solar powered bus, titled the Kayoola, can go for fifty miles on a single charge with thirty-five passengers on board. When you think about the drag of thirty-five people on a single bus, the capabilities of this bus become that much more exceptional. As if these fantastic solar powered busses weren't enough, there are solar powered bicycles with three operable features for inner city travel. You can travel on heavy, which uses the solar power captured by the panels on the wheels, angled to capture the sun's rays in a perfect manner. Second, there's a midway option to create an easy and seamless riding experience. Using the stored power in the battery bank of the bike, along with the manual power of peddling, your ride shifts power between the two to assist you during long commutes. Lastly, if you're just riding the bicycle for the fun of it, it will still charge the removable battery banks for other use, finding just one more way to capture sustainable solar energy. We've covered the history of solar power, from Alexandre to Tesla, from Einstein to Bell Labs, and just about everything else since. It's an important part of our future as a clean, sustainable planet. You can see by these examples just how many different ways solar energy is currently being used to remedy pollution, and where the next innovations on the horizon. From practicality to science fiction turned into reality, solar energy won't be competing with fossil fuels forever. We know that solar energy isn't an experiment, that it isn't going to dwindle; it's here to stay, and it's quite powerful when done in abundance. 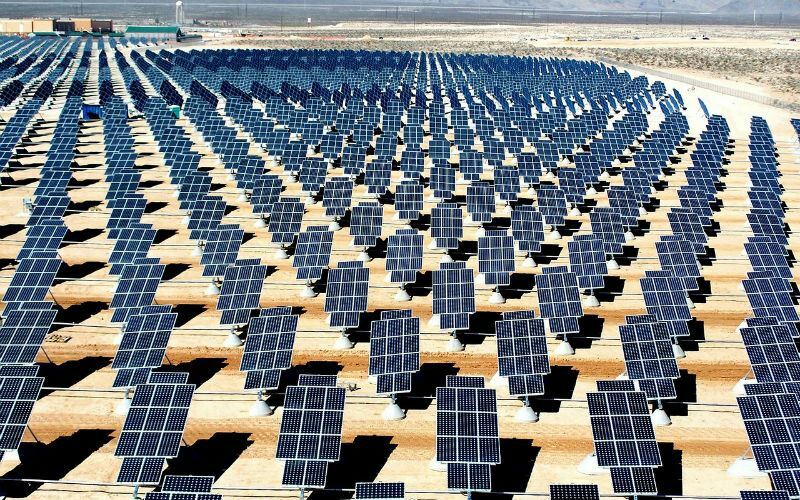 The applications of solar energy appear limitless, with liquids and thin coatings being given a chance to capture solar energy, the capabilities are only unfolding right before our very eyes. There isn't a doubt that without the proper amount of diligence, funding, and application, solar energy will dominate the field in producing the highest output of clean energy on a global scale. If the difference between 2016 and 2017s global gigawatt production via solar energy isn't enough to speak it clearly, think about this; it's more than doubling in growth and efficiency each year.